You can never have too many quick and easy vegetable sides. 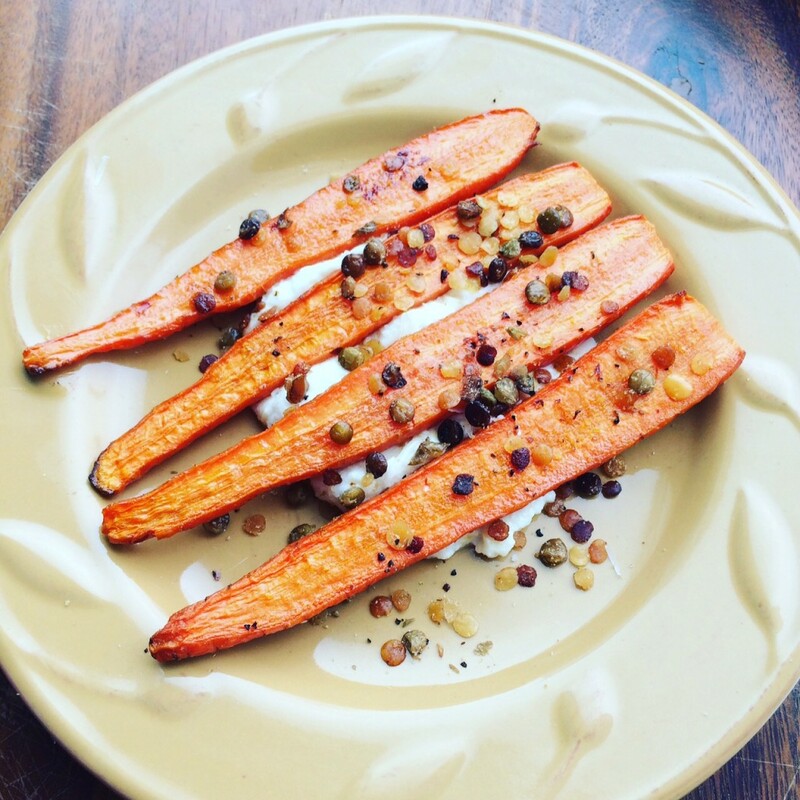 Think outside the box a bit with this roasted carrots with lentils recipe. 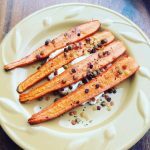 Featuring crunchy, roasted lentils and sweet carrots over ricotta and Asiago cheese, it’s a divine combination of textures and flavors. In a medium-sized saucepan, melt butter. Add honey and mix until well combined. Using a pastry brush, fully coat each carrot with honey butter mixture. Place carrots on parchment lined baking sheet and bake in the oven for 28-30 minutes, or until edges begin turning golden brown. While carrots are roasting, mix part-skim ricotta cheese with 1 Tablespoon of Asiago cheese. Plate ricotta/Asiago cheese mixture onto two separate plates, making sure servings are evenly divided. Sprinkle remaining Asiago cheese on top. Remove carrots from the oven and place four carrot slices on each plate, making sure to press slightly down into ricotta/Asiago cheese mixture. Sprinkle with lentils, serve and enjoy! Roast your own lentils in your favorite seasonings OR skip a step and pick up roasted lentils from Simple Supple Foods. I used their standard roasted lentil variety in this recipe and loved the added flavor!